The pirate captain from Skull & Bones really caught my eye the first time I saw the trailer from E3. And since I watched it together with Creepy Princess, we decided to do a partner cosplay from the game. And what should I say: The devs at gamescom loved it and we had the chance to play the game for some time. I’m really looking forward to it. I watched the E3 reveal together with Creepy Princess and we instantly fell in love with the character design from Skull & Bones, so we decided to take on this project. 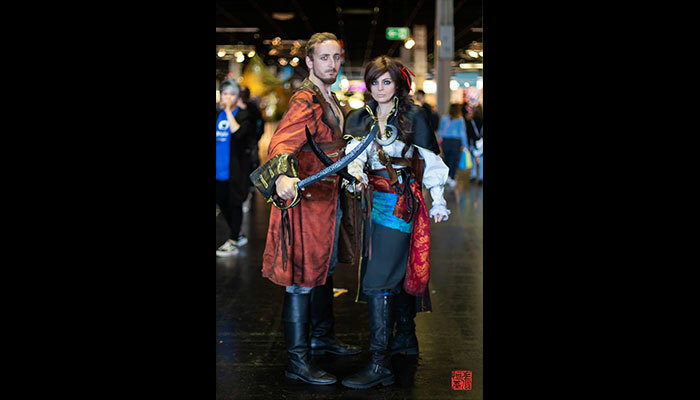 And we were the first cosplayers from the game, according to the developers! Getting this cosplay done in about 1 1/2 weeks. There is no specific part I like the most, everything is cool. Let's be honest, who doesn't want to be a pirate?